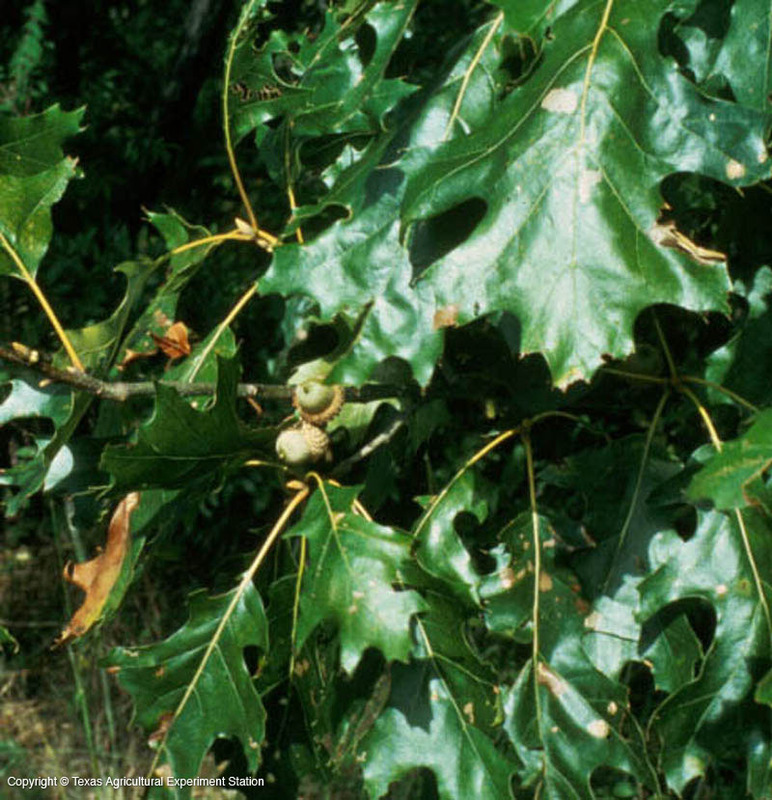 Southern red oak is common in the forests of east Texas, and is the dominant oak in the Pineywoods. It is highly polymorphic, that is, it can have many forms, especially the leaves, which can have from 3 to 13 lobes. The leaf base is typically rounded. It grows in acid soils and will not do well on the clay soils of central and north central Texas. 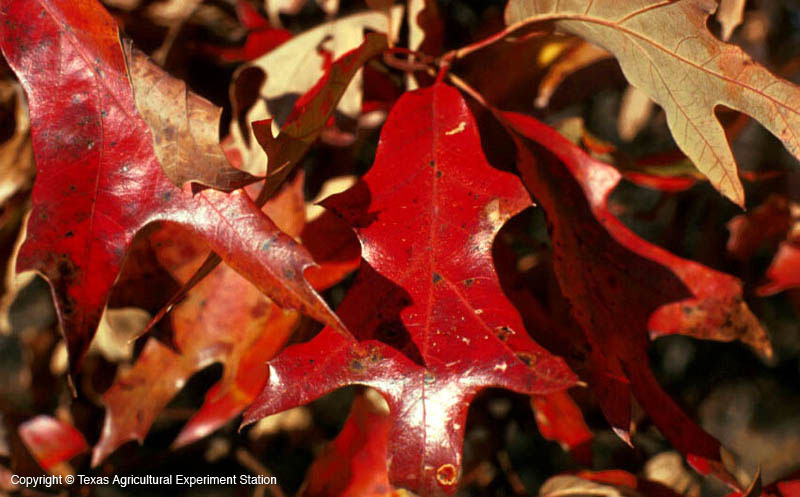 Many authors divide the southern red oak into four varieties: var. falcata (Southern Red Oak), var. 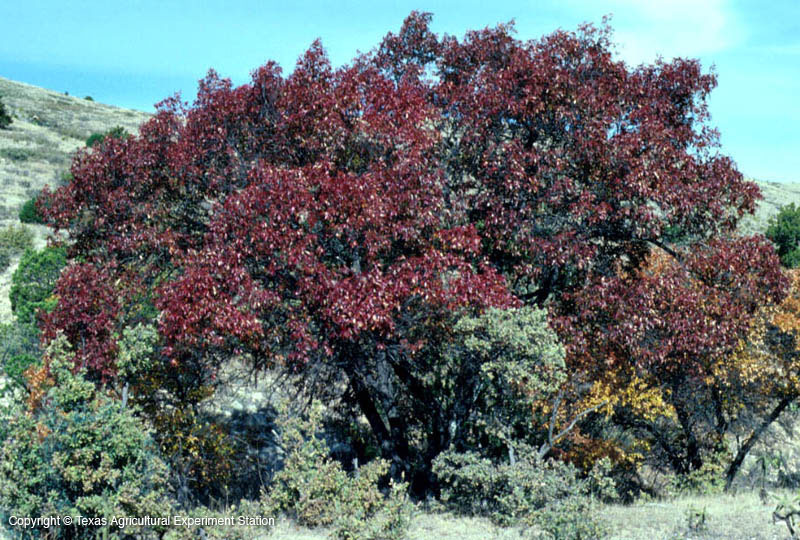 leucophylla (True Cherrybark Red Oak), var. 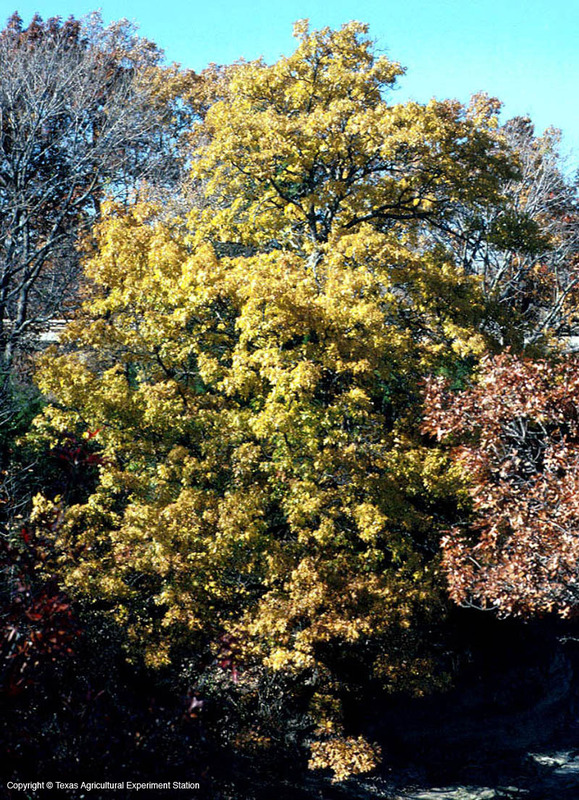 pagodifolia (Swamp Red Oak), and var. 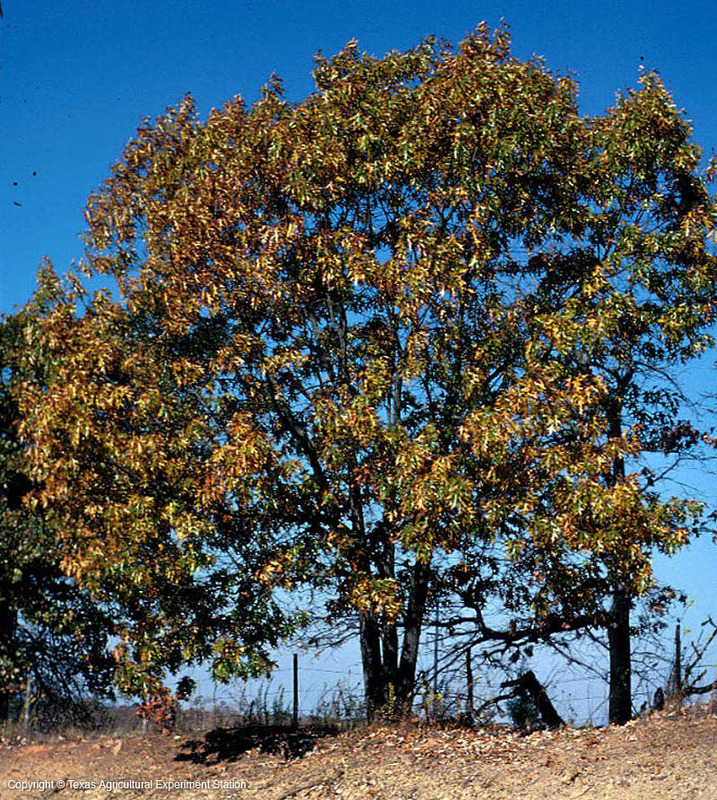 triloba (Three-lobe Red Oak).